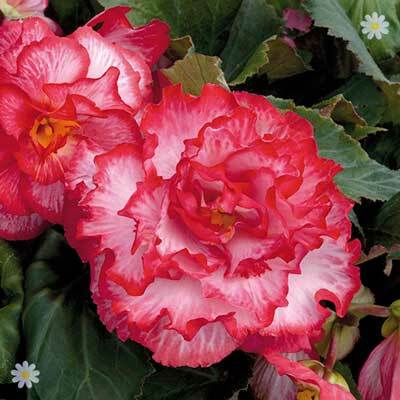 These brand new large flowered Majestic Patio Begonias are just the thing for your patio containers producing an abundance of brilliant colour all summer long. The blousy double blooms are big and bold shades of blush and pink, each with a delightful pink picotee edging, and reaching as much as 8in across and the plants are strong and stocky so stand up to the worst of any poor weather. . They look great in borders too, flowering right through to October so extending the flowering season in your garden. Will form small corms that can be overiwintered if lifted and kept dry.